Got a case of the Mondays? Cure it with some freebies! You can download the "Cookbook for a Cause" from Pampered Chef for free! Includes recipes by Courtney Cox, David Arquette, Mario Batali, & more. *For every download of the cookbook, they'll donate a meal to Feeding America! Complete the form to receive two of four types of the Skin Balance Aqualess Crystalline drink mix packettes (randomly selected by BORBA). Coupons will be for items from Cascade, Febreze, Dawn, Mr. Clean, Swiffer, etc. and contains over $35 worth of savings. Sign up for the coupon book here. Fill out your information here to get the rebate form for a free bag of World's Best Cat Litter. 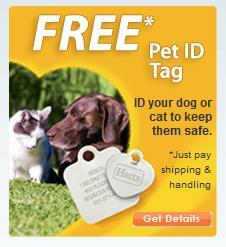 This rebate is for a 7 or 8 pound bag of their clumping or multiple cat clumping formula, and is good for up to $12.99. Register receipt must be dated within 8/2/2010 and 10/1/2010. When you dine at IHOP during August, you can get a free kid’s meal with each adult entree purchased. The offer is valid every day of the week from 4:00 p.m. – 10:00 p.m. for kids 12 and under. Note that the this offer does not include drinks. Fill out the form for samples of Pendaflex SureHook Hanging Folders!